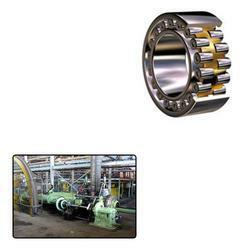 Leading Manufacturer of single row ball bearings for mills from Ludhiana. To meet huge market demands, we are involved in offering a wide array of Single Row Ball Bearings for Mills. These bearings are manufactured by using sophisticated technology and finest quality material. The bearings are available in open and sealed versions. In certain applications, a smaller design of bearing arrangement can therefore be used if necessary. Looking for Single Row Ball Bearings for Mills ?